Chinese President Xi Jinping has said future Sino-African cooperation should focus on young people. The initiatives China will drive are "designed to help young people in Africa", Xi said at the FOCAC summit in Beijing on Monday. 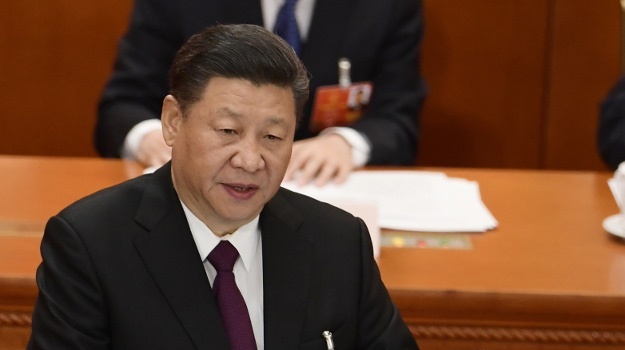 The Chinese president had earlier pledged $60bn in aid, investment and loans into Africa over the next three years, the same amount pledged at the previous FOCAC summit in Johannesburg in 2015. Co-chairperson President Cyril Ramaphosa used his opening address at the summit to praise China for its "remarkable economic achievements", including lifting millions of people out of poverty. "There are many valuable lessons that Africa can learn from China's impressive growth model, particularly in using its capacity and natural resources as a catalyst for growth." In Q1, the unemployment rate among South Africans aged 15–34 was 38.2%. In the same age group across the rest of the continent, nearly a third are unemployed, according to the African Development Bank. In 2017, the estimated youth unemployment rate in China was at 10.8%. "We want to provide young Africans with more training and job opportunities,” Xi said. He outlined a target of eight major initiatives in the next three years and beyond, including industrial promotion. "We have decided to open a China-Africa economic and trade expo in China to encourage Chinese companies to increase investment in Africa." He said that his country would support Africa’s goal to achieve general food security by 2030, and work together to implement cooperation on agricultural modernisation. China would dispatch 500 senior agriculture experts to Africa and train researchers in agri-science and support Chinese companies in Africa. Xi said the continent would be supported in developing a single African air transport market, and spoke of direct air flights between China and Africa. A trade facilitation initiative to increase imports from Africa was also on the cards, including 50 000 government scholarships and 50 000 training opportunities for seminars and workshops. China intended to bring 200 young Africans to the country for a skills exchange programme. "We are ready to make a greater contribution to support cultural diversity in the world," Xi said, with a target of exchange programmes in culture, arts, education, sports, think tanks and media, focusing on young people to strengthen the bond between the people of China and Africa.